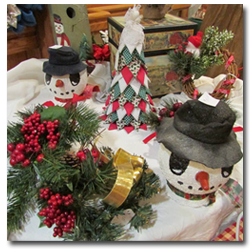 Join us for our annual Christmas Bazaar and Craft Show and shop a wide variety of vendors selling ornaments, handcrafted items, seasonal decorations, baked goods and more while supporting the Residents at St. Anne’s! Come hungry because our lunch menu is sure to please shoppers of all ages! Interested in Participating as a Craft Vendor? Spaces cost $50.00 if forms and payment are received by November 1, 2019. Vendor spaces cost $55.oo each if forms and/or payment are received after November 1, 2019. Multiple spaces can be reserved. Mail your form, with a check for each space made payable to St. Anne’s Retirement Community, to our Development/Marketing Office, 3952 Columbia Avenue, Columbia, PA 17512. If you have any questions, please contact Mary Low at 717-285-1467 or Mary.Low@stannesrc.org.